Bajaj Auto Ltd, India's biggest two-wheeler manufacturer, is mulling over to launch two new motorcycles, which will be called as Duke 125 and new version of its flagship model, Pulsar in the Indian auto market by 2011. The new Duke 125 sports bike assembled by Austrian bike maker, KTM Power Sports AG with Indian arms, Bajaj Auto. 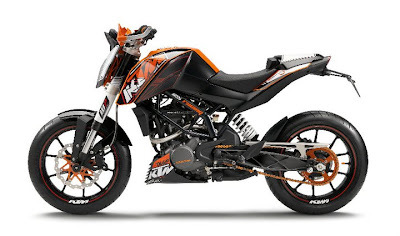 Bajaj Auto gets a 14.5 percent stake in KTM in 2007 to access latest engine technology and increase distribution network in Europe. According to some news reports, the new Duke 125 is believed to be launched fist in Europe in March next year. 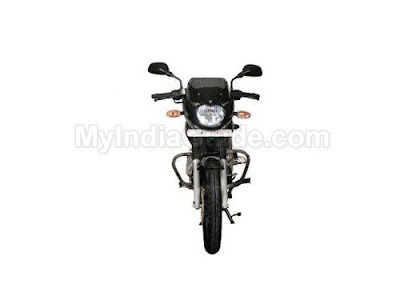 S. Ravikumar, vice-president for business development of Bajaj Auto said, "There are plans to launch Duke 125, which was showcased at Cologne (Germany) this year. The bike will be first launched in Europe and then it will be brought to India." Both two-wheelers giant agreed for the producing two- engine including 125cc and 250cc utilising with water-colling technology, which enabled to generate more power for the same capacity than the air and oil-cooled technology. Water cooling is a better conductor for warm countries. Ravikumar also said that the company is also planning on a new avatar of Pulsar next year. "This will happen some time next year... in the first quarter of the next fiscal," said Amit Nandi, vice-president, pro-biking segment, Bajaj Auto. Recently, Bajaj Auto introduces new Orange Theme of Bajaj Pulsar 180 in the Indian auto market. "Most of the players are in this segment. It is highly competitive. A lot will depend on the pricing strategy of the company," said Jatin Chawla, an analyst at India Infoline Ltd. "However, this will help the company in strengthening its brand in the country. Apart from that launch, Indian bike lovers will see more new bikes in Indian by Bajaj Auto including Bajaj Sonic, Bajaj Blade (scooter), New Bajaj Boxer and more.